HottyToddy.com covered LOU on the Move. Read about us here. Oxford Citizen talks about Saturday group fitness pop-ups. Learn more here. Gather with members of the LOU community for weekly group fitness classes in various locations around town. Don’t have a gym or studio membership? No problem. This is a great opportunity to try out a variety of workouts and find what works for you. Best part, Rebelwell is picking up the tab. You’ll experience workouts led by certified instructors from all over the LOU community in a welcoming, community environment. Bring a friend and the whole family each Saturday for a refreshing workout that will keep LOU on the move. See our Facebook events for current pop-up events. *Format of class or location may change due to instructor or location availability. Continue to check RebelWell social media pages + website for potential updates. *Remember to enjoy the outdoors and visit some of Oxford’s trails and walking paths. The South Campus Rail Trail is now equipped with new fit stations at the start and mile marker 1.5. Other great outdoor options include Pat Lamar Park, Bailey’s Woods Trail and multiple other parks around town. If you are a group fitness instructor and would like to lead a pop-up, please contact wendy@olemiss.edu. RebelWell is a campus and community wellness program designed to support employees, students, local schools and the Oxford and Lafayette County community as they adopt and sustain behaviors that reduce health risks and improve quality of life. RebelWell promotes awareness and provides education and motivation for positive behavior changes. 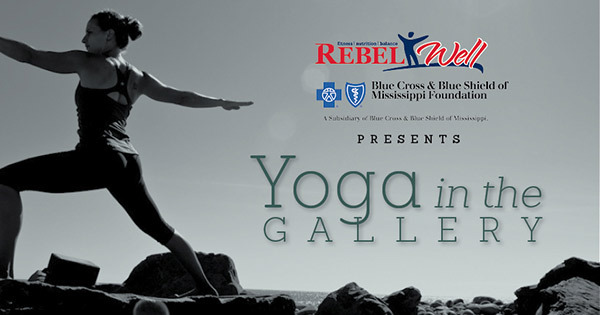 RebelWell’s programs are offered at no cost thanks to a generous grant from the Blue Cross Blue Shield of Mississippi Foundation and is a collaborative partnership of campus resources with the goal of helping our community along the path to a vibrant, healthy and balanced lifestyle.